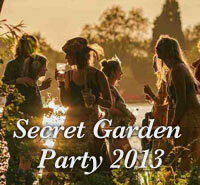 AFH to play Secret Garden Party 2013! More exciting gig news… AFH will be playing at Secret Garden Party 2013 – as part of The Local’s ‘Sunset Sessions’ on Friday 26th July. Onstage at 6pm. Also playing are our good friends The Machine Gunners who are rather splendid. Hope to see you there!